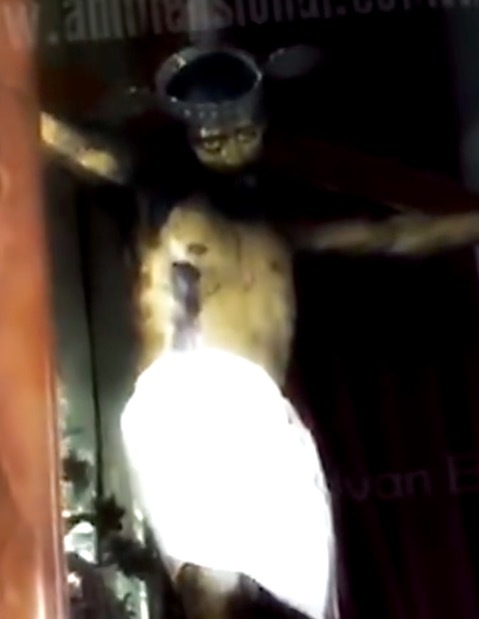 In the Chapel of Saltillo which is located in the state of Coahuila de Zaragoza, Mexico, a statue of Jesus was recorded to have opened its eye for a brief moment. The video clip recorded back in June was recently posted on Adimensional (a website that studies the supernatural) and has caused quite a commotion within the Christian community and paranormal experts, according to Elancasti.com.ar translated by Mirror.co.uk. 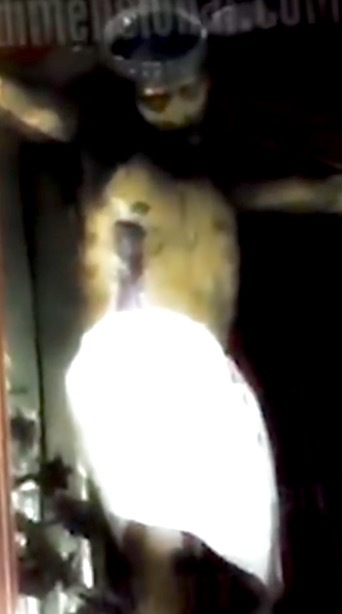 In the short film, the effigy can be seen opening its eyes for a few seconds and then closing it back, all whilst a church session can be heard going on in the background. The paranormal incident had initially gone unnoticed. It really is quite an eerie sight as the statue’s eyes blink open. Many religious folks took the incident to be a sign from God and believed it to be a miracle. Others have simply written it off as a product of video editing and the remaining crowd believed it to be an optical illusion. It was reported that more than 20 paranormal researchers, priest, sculptors, video editors, and special effects specialist have spent weeks screening through the short footage for any signs of compromise. However to date, paranormal activity expert Ivan Escamilla who also manages the Adimensional web portal states that no concrete evidence was found to proof the footage has been tampered with. Additionally, Roman Catholic Diocese of Saltillo has chosen not to view the video clip, for whatever reasons. Watch the paranormal incident caught on the video clip below. Disclaimer: Footage may be disturbing for some.